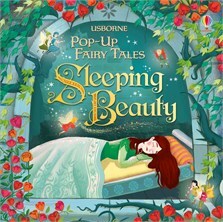 The enchanting story of Sleeping Beauty is brought to life in this gorgeously illustrated pop-up book. Follow the fairies starry trail, join the prince as he discovers the secret tower where Sleeping Beauty is destined to sleep for a hundred years, and see if magic can save the day. A pleasure to share with little children, and a wonderful gift.